Patio Pavers: To Restore or Replace? 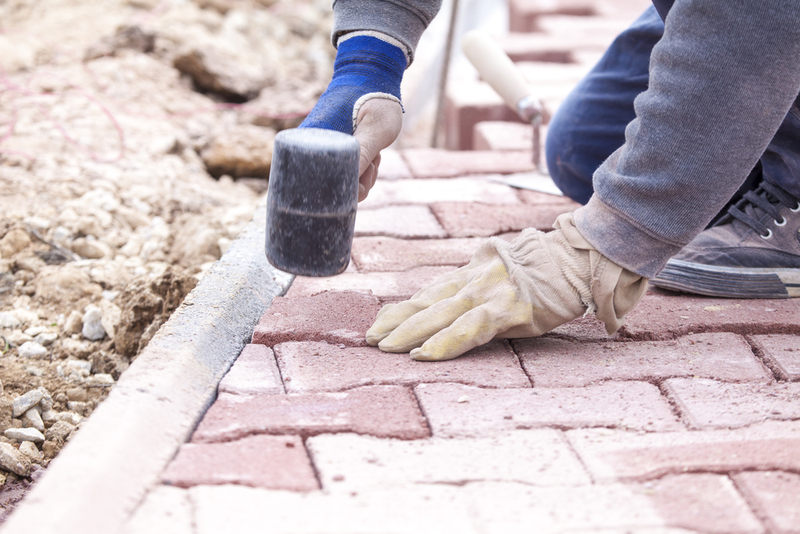 You’ve invested significant time, energy, and money in installing pavers. Your patio, walkway, or other features are beautiful additions to your home. What many people don’t know is that as durable as they are, pavers still need proper maintenance. They should be swept periodically to remove debris, especially materials like sand that can begin to wear them down over time with heavy foot traffic. Pavers should also be hosed down to remove spills, with special attention paid to anything that can be corrosive. How difficult would it be to replace a particular paver? How hard would it be to find replacement pavers? How would the cost of restoring vs. replacing stones compare in your situation? Are there materials on the market you could use to repair the type of damage you are seeing? How sturdy is the overall structure of my patio or walkway? Is my base shifting, and if so, could that be damaging my pavers? If the answer to the second question above is “Yes,” your first priority must be fixing the underlying stability problem. If you don’t, more damage will surely occur in the future, and you could find yourself continually repairing and/or replacing pavers. While uprooting a patio or walkway that is in “pretty good” shape is frustrating and time-consuming, it is much better than dealing with the headache and expense of a structure that is constantly warping and damaging its pavers. If you had your patio or walkway professionally installed relatively recently, it would be a good idea to contact the company that did the installation. A reputable installer will stand behind their work and make corrections if appropriate. And if the problem is related to the stability of the soil in your yard — and therefore not their responsibility — they may still be able to offer suggestions for the challenges you face. Ultimately the key to making the “restore or replace” decision is to do your research and have all your facts together. If you’ve got questions about your paver patio or walkway, we’re happy to share our thoughts. Give JMC a call.